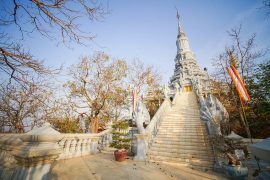 Green Cultural Travel (Cambodia) Co., Ltd is a provider of unique travel and tour experiences in Cambodia. Beyond our core travel business we also operate social programmes to assist people to escape the trap of poverty and live a more dignified life. #10B,St 232, Sangkat Boeung Pralit, Khan 7 makara, Phnom Penh.